Brando Shopping sell the NFC enabled GalaRing. 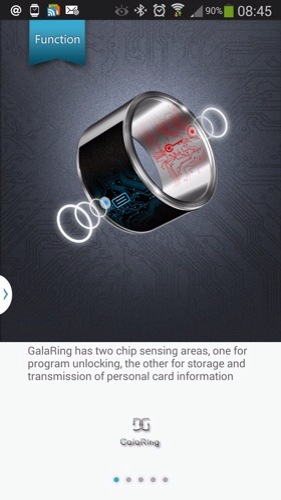 GalaRing G1 is the first smart product under the consumer electronic brand GalaGreat. 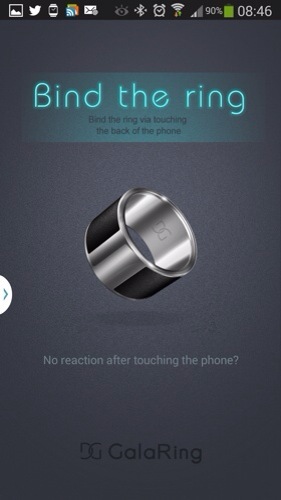 You can use your NFC Ring to share WiFi information, links to websites, contact information or whatever you think is suitable to be passed securely to your friends, smartphones and tablets. 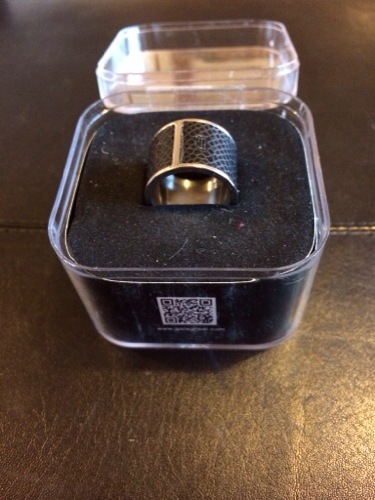 Your NFC Ring can also be used to start apps with custom settings (parameters), making it a really easy way to personalize the app experience to match your ring. It comes in 2 sizes, 17mm and 22mm. The 17mm is too small for me so I suggest opting for the larger size. As you can see from the photo below, it just comes in a box with no instructions other than a barcode for you to scan to download the app. The screen shots from the app are shown, but even after opening the app I still wasn’t sure as to how everything was going to work. In fact I found it difficult to grasp. Also the NFC was hit and miss with my Note 3. 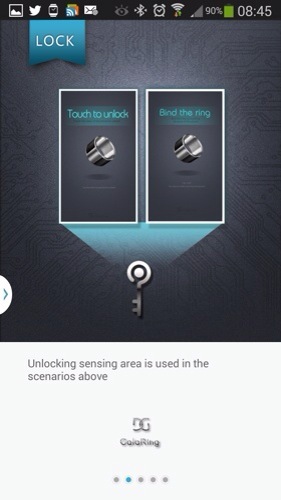 I think you really need to be very geeky to want this product and understand NFC in depth. It really could do with some proper instructions and explanations. 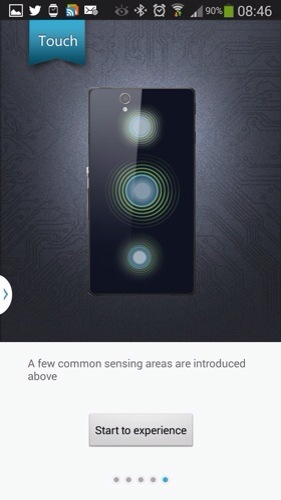 G1 is the first product of GalaGreat smart electronics brand. possible environments, so high-qualitymaterials and workmanship are required. 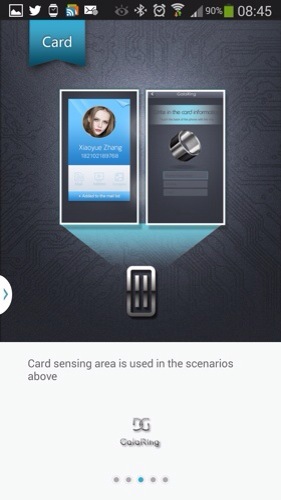 The two core smart NFC chips of G1 are provided by world-class chip company NXP. The waterproof level reached the top IP68 industrial level. It can resistup to 10 meters of free fall impact. GalaRing has basic functions brought by the NFC chip. 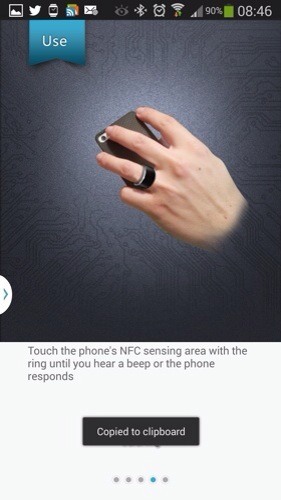 It can also transmit information between the ring and the phone via the latest NFC technology, providing personal social information storage and exchange functions. Other: Mi 2A, Mi3, OPPO Find5, GEAK Eye, GEAK Mars, Machine with NFC function. When is it on the market? And what’s the price tag? The price and place to buy is via link to Brando Shopping.